Just because we want something sweet, that doesn’t mean we’re willing to turn on our oven and go through all that extra effort. That’s why you’ll be glad you read through these 10 mouth watering treats you can make without an oven. All the satisfaction, none of the effort, mess, or time. Well, less time. 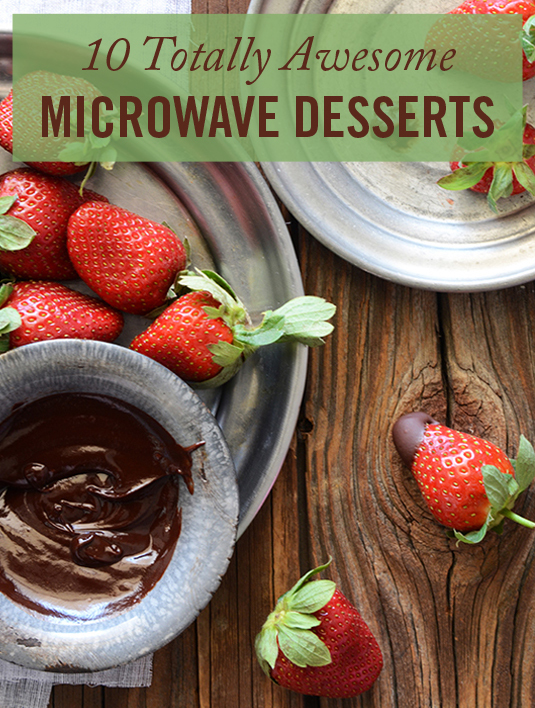 If you have a microwave, zero motivation to bake and put effort into the cleanup, and a serious sweet tooth, try some of these desserts! Trust us, you will not regret it. This chocolate fondue has two ingredients. TWO. You’ll need some dark chocolate and some full fat coconut milk. All you do is melt the chocolate in the microwave and mix in the milk. This dessert couldn’t be easier and it’s delicious. Win win.